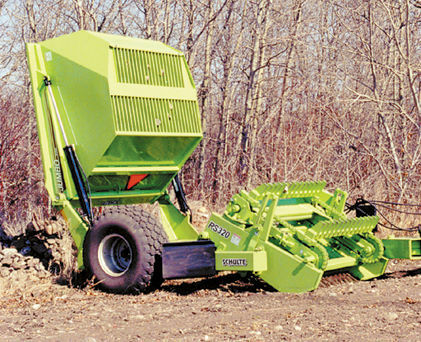 Huge 3.2 cubic yard hopper with conveyor pickup. 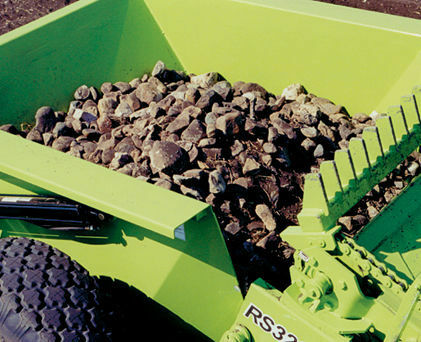 The RS320 features an extra-large 2.43 m3 (3.2 cubic yard) hopper for greatly increased rock removal efficiency. 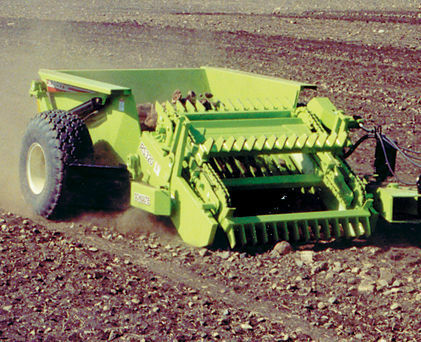 Large, flotation type, all-weather 16.5L x 16.1 tyres are mounted on high capacity eight bolt wheels and hubs. 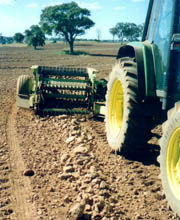 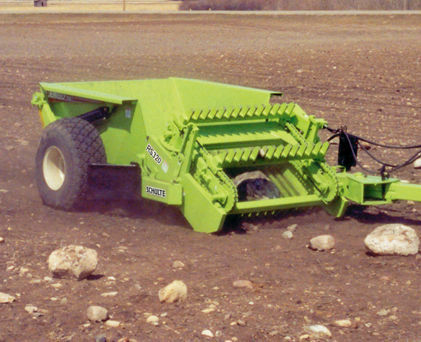 The RS320 Rock Picker removes surface rock from 2 to 28 inches (50 to 700 mm) diameter. 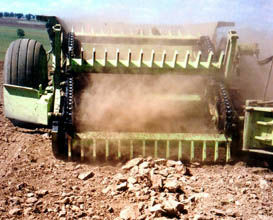 T-iron tapered grate with 19 mm (3/4") bottom and 13 mm (1/2") top material virtually eliminates small rock jamming. 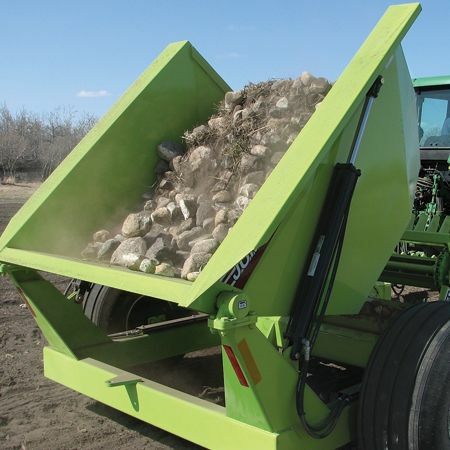 The 1219 mm (48") grate, which is 431 mm longer than most reel type rock pickers on the market, picks 50% less dirt and trash than reel types because it allows more time to sift the soil out before the rock enters the bucket. 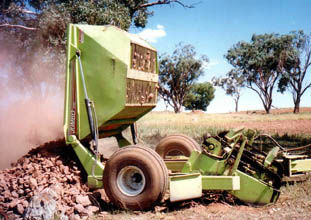 Use the RS320 to pick up rocks, timber, trash, carcasses…the list goes on and on!